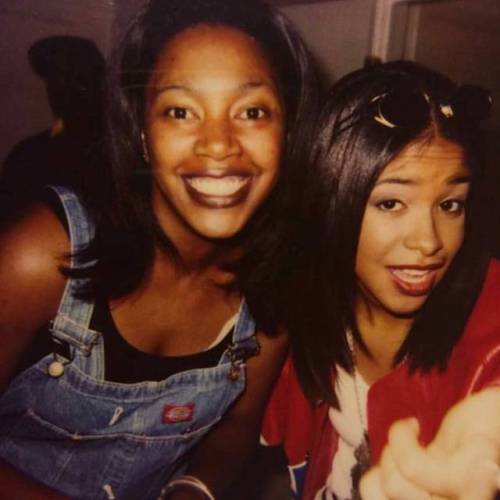 🔁 via @wendyactingcoach: “I’VE WORK WITH MANY PEOPLE DURING MY CAREER AS A CASTING DIRECTOR AND #AALIYAH WAS ONE OF THE SWEETEST ARTIST I’VE EVER MET. .
.#FBF ##FlashBackFriday #FBFriday ❤️” | Lawd……now this is my NEW fave! 😩😭😄❤ Her expression though! Ayeee! 🙌💕 lol Looks like this is also Aaliyah on the set of Junior Mafia’s ‘I Need You Tonight’ video! 😄❤ Thank you for sharing!